Cell surface receptors located in the plasma membrane have a prominent role in the initiation of cellular signalling. Recent evidence strongly suggests that plant cells carry cell surface receptors with intrinsic protein kinase activity. The plant receptor-like protein kinases (RLKs) are structurally related to the polypeptide growth factor receptors of animals which consist of a large extracytoplasmic domain, a single membrane spanning segment and a cytoplasmic domain of the protein kinase gene family. Most of the animal growth factor receptor protein kinases are tyrosine kinases; however, the plant RLKs all appear to be serine/threonine protein kinases. Based on structural similarities in their extracellular domains the RLKs fall into three categories: the S-domain class, related to the self-incompatibility locus glycoproteins of Brassica; the leucine-rich repeat class, containing a tandemly repeated motif that has been found in numerous proteins from a variety of eukaryotes; and a third class that has epidermal growth factor-like repeats. Distinct members of these putative receptors have been found in both monocytyledonous plants such as maize and in members of the dicotyledonous Brassicaceae. 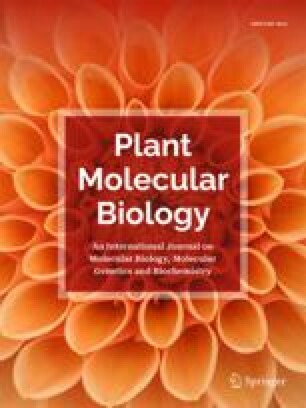 The diversity among plant RLKs, reflected in their structural and functional properties, has opened up a broad new area of investigation into cellular signalling in plants with far-reaching implications for the mechanisms by which plant cells perceive and respond to extracellular signals.